A promotional video officially launched by An Taoiseach Leo Varadkar on Friday 20th July, has already been viewed more than 100,000 times. The new Dunmanway Tourism Promotional video, which is designed to showcase the highlights of the West Cork town. 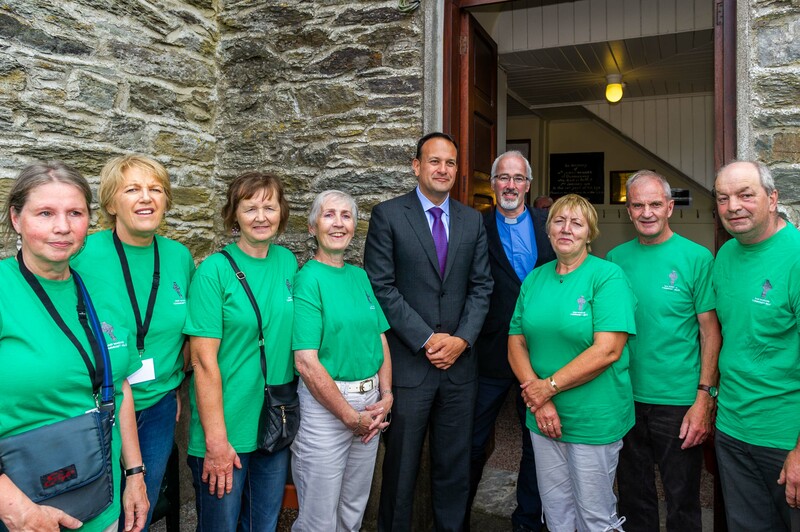 During his visit to Dunmanway, the Taoiseach visited the Sam Maguire Visitor Experience which includes the burial place of Sam Maguire, and rang the newly installed Sam Maguire Community Bells. Dunmanway, West Cork, Ireland. 20th July, 2018. Taoiseach Leo Varadkar visited Dunmanway today to see the birthplace and final resting place of Sam Maguire. He also visited the Sam Maguire Bells in St. Mary’s Church. The Rev Cliff Jeffers, Rector of Fanlobbus Union, and the Sam Maguire Community Bells Team posed for a picture with An Taoiseach. Photo: Andy Gibson.